On April 29, 2018, about 200 Central Americans forming the Pueblo Sin Fronteras caravan sought asylum in the United States through San Ysidro. While several members of the caravan were granted asylum, the majority of them were denied, leading them to camp out in Tijuana. The caravan dissipated after most were not admitted into the U.S., leading many to fear for their safety in Mexico. However, this event did not gain much attention from students at UC San Diego, which is surprising considering the recent on-campus protests for various social issues. Despite being only 30 miles away, students generally ignored the fate of the refugees. It is ironic how these students, many of whom spend their weekends crossing freely into Tijuana to drink and party, do not openly care about the issues pertaining to our next-door neighbors. 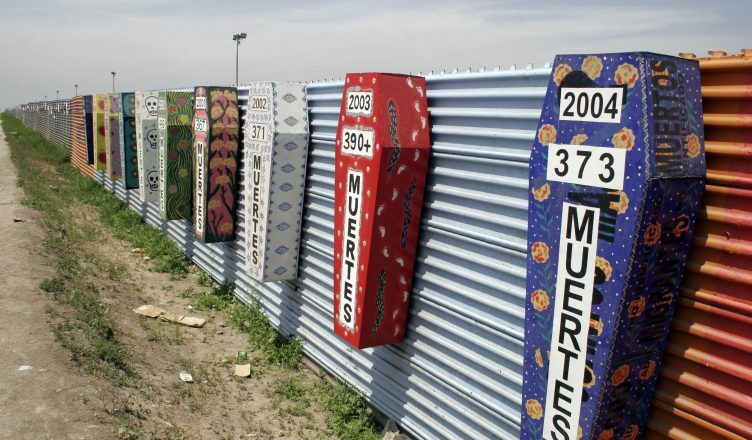 By ignoring issues pertaining to the U.S.-Mexico border while still taking advantage of the tourism in the area, UCSD students are contributing to the greater problem of dehumanizing people of color solely into vehicles for entertainment. This dismissive perspective, shared by many UCSD students, can be partly attributed to the location of the university. La Jolla is famously known for being a primarily white upper-class community. This creates an “untouchable city on a hill” mindset amongst residents, including UCSD students, leading to the perception that they do not live in a border region. The only time students generally venture to the actual border is to go drinking on the weekends or during spring break, which creates an image that the only important characteristic about Tijuana is the lower drinking age. The lack of interest also stems from the demographics of the campus. First, only 34 percent of students on campus are not a part of the on-campus Asian and white majority groups. This means that when publicized grievances affect a marginalized group, many students may not be able to identify with those affected. Even for those who can identify with a particular group, sometimes there simply is no time, outlet, or desire to empathize with those facing marginalization. The caravan was composed of Latino refugees from Central America. With only 18 percent of UCSD students on campus identify as Latino (and only 3 percent as identifying with any Latino group other than Mexican), it’s easy to see why such an apathetic approach was taken toward the Pueblo Sin Fronteras caravan. This level of inactivity does not solely pertain to border-related issues. There is a trend of apathy among students when it comes to getting involved with issues not directly pertaining to them, even those occurring on campus. While turnouts were high at the previous two gun violence prevention rallies that took place on campus in March and April, little to no action was taken when the issues of racism and immigration were brought up in Fall Quarter with the actions of Identity Evropa and the inflammatory anti-Deferred-Action-for-Childhood-Arrivals posters. Likewise, there was little participation in the recent workers’ strike, protest of police brutality by medical students, or the Black Student Union’s protest on MLK Day from people outside of these causes. The campus may have had an apathetic approach to social issues, but these problems still present real-world consequences that need consideration. Unfortunately, in regards to the Pueblo Sin Fronteras caravan, there are no present solutions to the refugee crisis, and situations are growing more dire. According to the San Diego Union-Tribune, caravaners have been subject to numerous attacks since arriving in Tijuana. Further, for those who remain in Tijuana, access to food, water, and shelter is scarce, as many fled Central America with only what they could carry and little to no money. However, this event does serve as a point of reference for students at UCSD. The students do have a certain level of privilege in being able to attend a university in such an affluent neighborhood. This means that access to resources, people, and funds are, for the most part, abundant. Should future socio-political issues arise, it will be the role of students to stay actively informed and take the necessary actions to bolster relief efforts. This can take the form of students going out into the community to raise funds for organizations, calling congresspeople to pass pertinent legislation, or simply putting out petitions for causes that truly matter. Regardless of actions taken, the Pueblo Sin Fronteras’ lack of student action affirms the need for student involvement in sociopolitical issues, whether the issues directly affect them or not. It’s funny you mention Identity Evropa. They just did some demonstration at the border where the Caravan was. You were probably writing this as they were doing it.